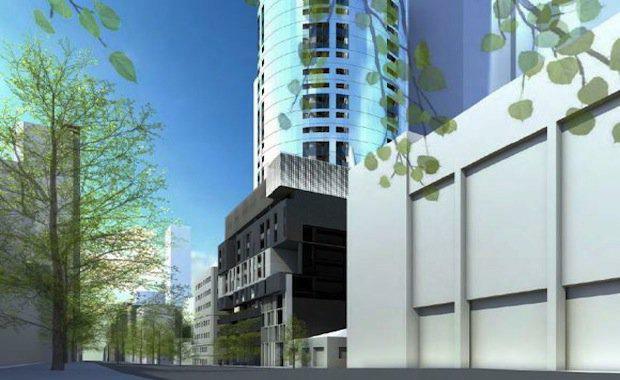 The King Street location will house Melbourne’s tallest apartment towers if they are approved which will consist of 82 levels. is the proponent for 295-309 King Street and is currently seeking permission to replace two office buildings of the low-rise variety in the west side of Melbourne’s CBD. The exterior of the development of King Street is a stylish glaze of iridescent panels which boast the ability to capture light spectrum in a way unlike any of the city’s buildings. The podium’s contemporary design was inspired by King Street’s bluestone streetscape. It resembles a Jenga formation resulting in providing privacy for apartments and a vibrant façade. Adding to the value of the site, the King Street location is surrounded by a number of development sites which have high redevelopment value.